Every woman's 'dream man', every man's icon Baseball: fame, love and fortune found, lost and given back a hundred fold. In the same league as THE NATURAL with Redford and THE ROOKIE with Quaid. 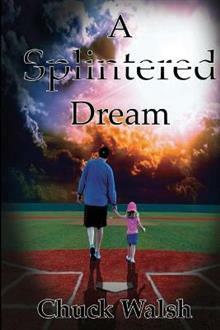 A SPLINTERED DREAM is a story of starting over. Driven, with rich characters, strong i... read full description below. Every woman's 'dream man', every man's icon Baseball: fame, love and fortune found, lost and given back a hundred fold. In the same league as THE NATURAL with Redford and THE ROOKIE with Quaid. A SPLINTERED DREAM is a story of starting over. Driven, with rich characters, strong in faith and unyielding determination, this book is definitely a page-turner. Cape Jeffers, a small town hero whose lifelong dream is to play for the New York Yankees, endures a life-altering tragedy, splintering those dreams into so many pieces that it appears they can never be reassembled. Cape has the perfect life, playing in front of adoring fans in minor league stadiums throughout the south, one step shy of being promoted to the Major Leagues, married to the girl of his dreams, a $10 million signing bonus and a clear-cut path to the Hall of Fame, but it all comes crashing down when his wife dies giving birth to their child. He finds out the man he trusts with his finances has been arrested for fraud. His signing bonus has been depleted. Now a single parent and broke, Cape has no choice but to give up the game he loves and raise his daughter alone. But in the heart of his child, he finds that dreams can spark to life from the ashes and that is where the real story of triumph begins. This is the come-back-kid of all stories. The reader will cheer, laugh, cry and stand in ovation whether a baseball fan or simply in need of a hero.